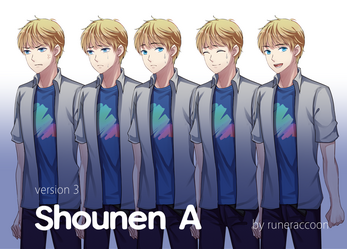 Shounen A.zip contains blonde haired, blue eyed, fair skin Shounen A in 9 different expressions to use in a snap! I appreciate any dollars you decide to put into this download! That helps my life easier, to be honest. 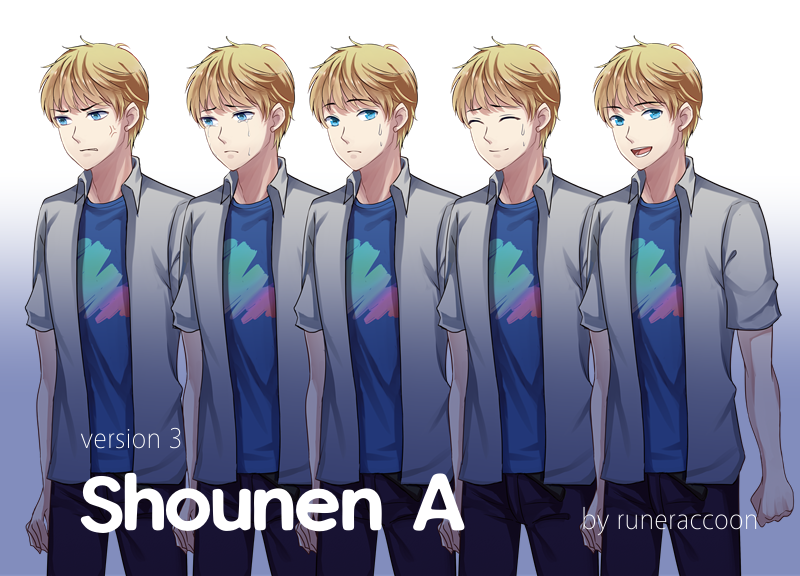 Only do that if you really like this Sprite though! Hey there~ It's a thighs up sprite and will work with Ella. I recommend opening both files using SAI--- I didn't do a recheck, but apparently opening them in PS/other programs messes up the color clippings. ^^ If you have any difficulties using either of them, let me know! Hey there, what's the liscening for this?